The Horseshoe to Grouse Challenge is the definition of a fitness challenge. 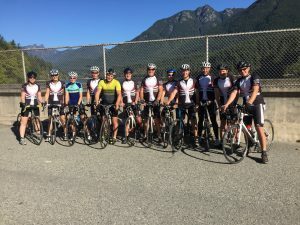 Participants cycle 40 kilometres along the Vancouver coast, then hike uphill nearly 3 kilometres, travelling 2,800 feet of elevation for the final leg of the race. This year, Vancouver dad Jeff Smith decided to take the challenge — and he raised $11,000 to support Food Allergy Canada! When Jeff’s daughter Madeleine was just 20 months old, she had a severe food allergy reaction. Like many of us, Jeff reached out to Food Allergy Canada for support and information. “Their calm, assertive and professional tone resonated with me,” says Jeff. Madeleine is now ten years old and Jeff and his wife Amanda continue to give back, with Jeff currently serving as the Vice Chair of the Board of Directors for Food Allergy Canada. As Jeff trained for the race, friends and families helped out in with pledges of all sizes. “They have always been supportive and we really appreciate that,” says Jeff. The fundraising campaign continued to take on momentum in the weeks leading up to the day of the race. The top fundraiser was Jeff’s good friend Mathieu Champagne from DeLoitte, which was the co-sponsor with Allerject. Support was also provided by Nectar Juicery, Different Bikes and Blue Water Cafe. 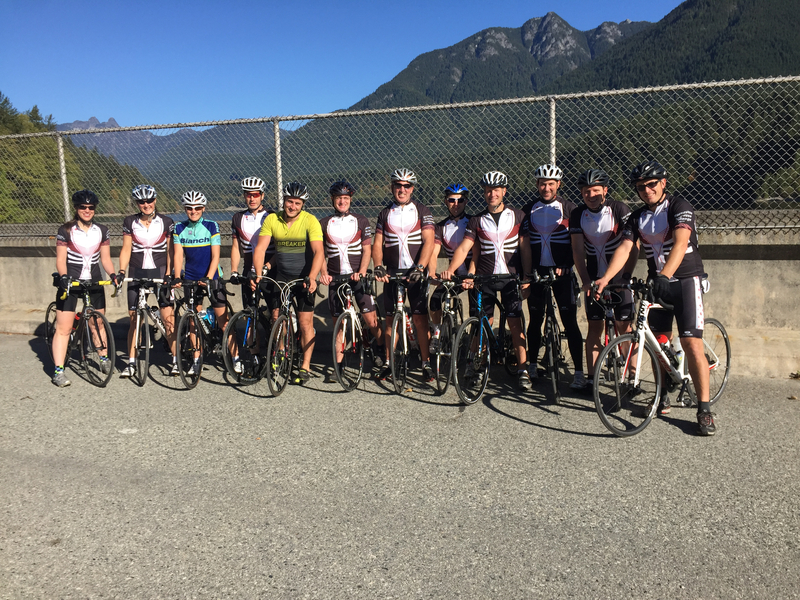 Jeff has experience with fitness challenges – for example, he’s raced in the GranFondo, a 122 kilometre bike ride from Vancouver to Whistler with 1,800 metres of climbing. But nothing quite prepared him for the Horseshoe to Grouse challenge. Participants bicycle a strenuous route from Park Royal to the Grouse Mountain entrance and then hop off their bikes for the Grouse Grind, the world famous 2.9 kilometre scramble up 2,800 feet of elevation. If you would like to volunteer or fundraise for Food Allergy Canada, contact us. We’d love to hear from you!